Shoex proudly offers the industry leading school and college student enrollment system. It provide schools with an easy and quick way to keep track of their increasing enrollment numbers. When you choose Shoex you can significantly reduce the amount of resources, costs and time needed for administrative tasks and effectively manage all of your currently enrolled students. Manual based processes can be replaced with a digital interface that is easy to use and allows you to alter the marketing strategies that you are currently using and make any necessary improvement to maximize your results. We can also help you improve your response times on pending inquiries as well as ensure that professional, thorough and prompt attention is provided to every single prospect. This way not even one inquiry will slip through the cracks on account of negligence. If you are searching for the best student enrollment software, your expectations will not only be met but be exceeded by Shoex by enabling you to focus on the most important things for your organization. You can take everything one place by using schoex and access it anytime by fast search. Scan the student documents and attach it to the student profile to save it in one place. Export the student profiles, reports and any other information into the different formats you want for example pdf, excel, word file or any other. System automatically generates admission no for every new enrollment, however you can enter your own admission no in the system. 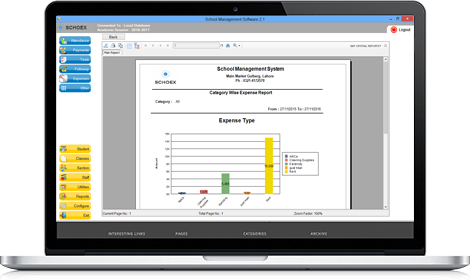 The school management system also allows to import students directly from excel file to remove the time consumption. You can also save the parents photos of the students, so that it can be used late on if required. Generate icards for the students in different formats, class wise, section wise or student wise.